Christmas is here and with less than 30 days until the big day I think we are all project: Christmas shopping right now! So for the first of a few Christmas gift guides, I wanted to bring you a look at some unique beauty gifts as I feel a lot of gifts and gift sets can be a little generic this time of year. From fun Korean beauty picks to some organic offerings and even a selection of unique wellness gifts that I feel will suit any beauty lover. Oh, and no gift is over £20 here making it an ultra-affordable gift guide! This blog post has been kindly sponsored by iHerb, however, all opinions and gift selections are my own. When it comes to shopping on iHerb, either for gifts, treats for yourself or essentials, it couldn't be more safe & secure with iHerb offering a Triple Guarantee to ensure all customers are 100% satisfied. From the easy search feature to the amazing overall value of over 30,00 brand name natural products the website is a pleasure to browse... in fact I often find myself falling down the rabbit hole of amazing products! While a California based superstore, iHerb guarantees that all products are authentic brands sold in the U.S. market. They are also committed to providing free or discounted shipping to over 150 countries around the world with a mass of 'shipping saver' products that actually help to reduce your overall shipping cost. As for UK shipping, there are four different shipping methods that you can select depending on the timescale and cost you would prefer, all of which are tracked and secure. For guidance, I went with DHL shipping and my delivery arrived in 3 days of placing my order. 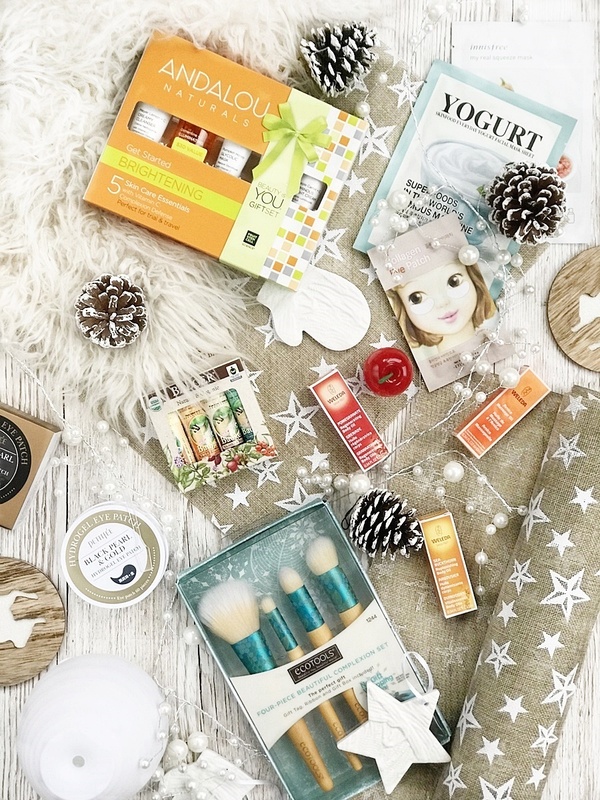 If you have friends or family members that are into all things beauty but you're worried of gifting them something they already have, then an amazing gift idea is to introduce them to Korean beauty! Not only is K-beauty totally unique and like nothing else on the market but I've always found Korean beauty brands to be such high quality with extra attention to detail when it comes to presentation and packaging. iHerb also stock over 600 Korean beauty products at some affordable prices making in a trio of products an inexpensive yet unique gift! 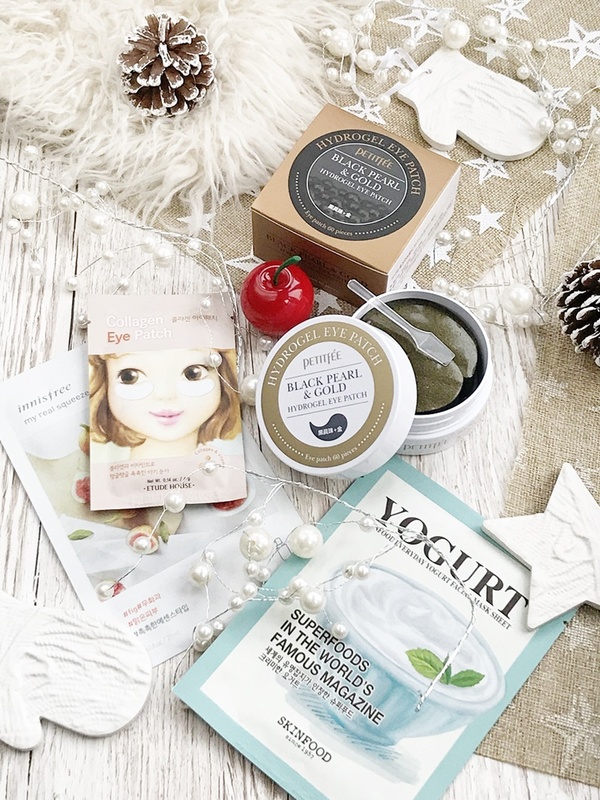 K-beauty is best known for its skin care, in particular sheet masks, as they are a perfect pick-me-up for the skin, adding a good dose of hydration, especially in the colder months. They are also suitable for all skin types and cheap making for a great affordable gift or stocking filler for a friend that's into skincare. For just over £5 I managed to pick up three different Korean masks; Skin Food Yogurt Facial Sheet Mask, Etude House Collagen Eye Patch and Innisfree My Real Squeeze Fig Mask. One thing I really love about K-beauty face masks is the packaging and as these three face masks are from different brands they are all unique in their own way. I really feel this kind of gift would be perfect for all age ranges and a great little introduction to K-beauty. Another fun and inexpensive stocking filler idea is to gift one or even a few novelty Korean lip balms. Since falling in love with K-beauty years ago I have collected so many unique lip balms that have all been nourishing and amazing quality for their low price tags. Tony Moly is one of my favourite Korean beauty brands for novelty lip balms as they are perfectly formed and smell incredible! As you can see the above is the Tony Moly Mini Cherry Lip Balm, which comes in quite a realistic cherry shaped packaging, even with silicone cherry stem. The balm itself is also incredible with a moreish cherry flavour that hydrates the lips. Other super cute lip balms available include; Mini Peach Lip Balm and Mini Blueberry Lip Balm. Lastly, for a fun but user-friendly gift perfect for winding down with post-Christmas, I had to share these Petitfee Black Pearl & Gold Hydrogel Eye Patches. While the Korean sheet mask trend is still going strong, hydrogel is another great option for locking in hydration, especially for more delicate areas of the face, such as the eyes and lips. Containing 60 eye patches the cooling gel masks are placed under the eye area to hydrate, soothe and reduce puffiness that can come from tiredness and stresses of the day. The reason I feel these would make a lovely extra gift is simply that they are beyond relaxing to use and aren't in the mainstream beauty market so chances are your recipient won't have tried anything similar and will most likely love using them after the Christmas rush and throughout winter. With the majority of us now making a conscious effort to think about the impact we make, a gift that incorporates recyclable packaging along with natural or organic ingredients is likely to be warmly received. Plus with the natural & organic brands stocked on iHerb, there's no forfeiting quality or aesthetics in name of saving the planet - I really can't get over how lovely these items are, they would make for some amazing Christmas gifts! 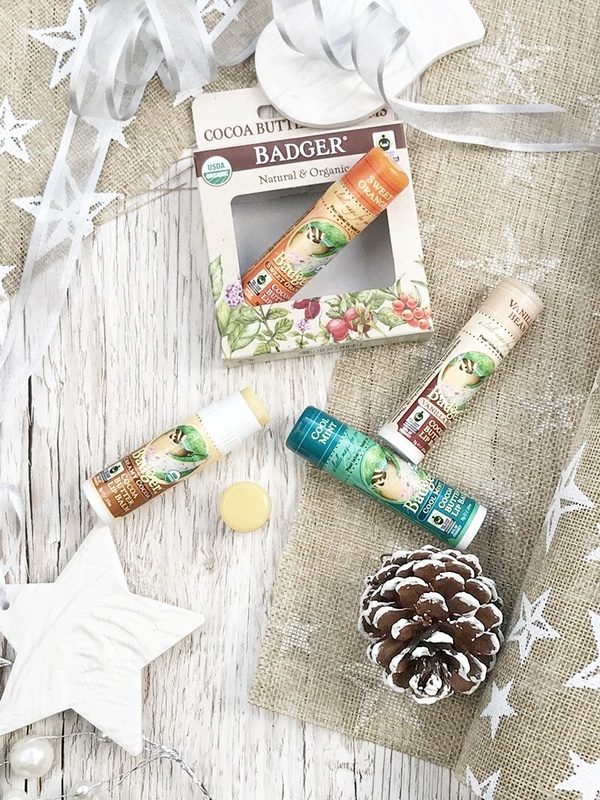 Badger Company has always an organic brand I've loved, so when I came across this whimsical set of 4 Organic Cocoa Butter Lip Balms I had to include them! Featuring four chunky, slightly larger than normal, lip balms in; Cool Mint, Sweet Orange, Vanilla Bean and Creamy Coco, all fragranced with dark chocolate this is a little gift most people would love. Described as a little magic for your lips this truly is an adorable gift set to give as a stocking filler or even a Secret Santa. I mean who doesn't love lip balms? Especially when they are organic and as cute as these! Gifting skincare can often be tricky especially if you are unsure of your gift recipients skin type. However going natural and picking up something for normal skin that's free from parabens and sulphates helps. Which is exactly why this set caught my eye... and the fact travel sizes are a great way for someone to see if they like a brand, rather than trying out one full-size product. 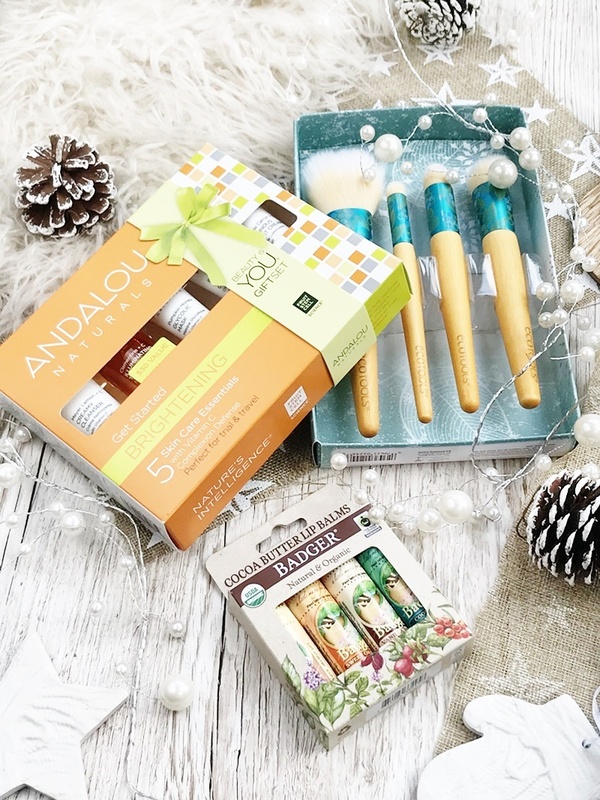 While Andalou may not be a skincare brand you are familiar with, it's certainly loved by quite a few skincare experts, especially the Pumpkin Honey Glycolic Mask which is thankfully included in this Andalou Naturals Get Started Brightening 5 Piece Kit! Along with a travel sized face mask the set also includes a cleanser, toner and two creams for both AM and PM. For under £13 this truly is a bargain and would make an ideal gift for skincare fans! Eco Tools have long been a makeup brush brand I've opted for due to being eco-friendly, aesthetically pleasing and affordable. This is also why I think they would make for a nice Christmas Gift, plus who doesn't need a few extra makeup brushes in their life! Not only does this specific Eco Tools Four-piece Beautiful Complexion Set include only full-size face brushes, but in fact includes a gift tag, ribbon and built-in gift box, meaning this is a complete gift with no gift wrapping necessary! It's also currently on clearance for only £10 making it such a bargain buy – however stock is limited so if you want this set you'll have to be quick! If you are looking to gift someone soft yet affordable brushes then these are simply perfect. If you've read my blog for some time then you will probably know that I'm a huge believer in self-care and so I love to give well-being style gifts to friends and family. Christmas I find is an especially good time for this due to how busy most people are and the simple fact that it's easy to get run down at this time of year. While cosy socks and slippers will always make fail-safe gifting I feel the below products are a little more unique which most recipients will definitely appreciate. One of my most favourite gift ideas here from this entire gift guide and something that I truly believe would make a perfect gift for so many. Now Solutions Ultrasonic USB Oil Diffuser is described as uniting aromatherapy with modern scientific innovation this small but perfectly sized diffuser plugs into your laptop or USB plug to release soothing scents and mist when used with essential oils. It also features 3 colour-changing lights which can be turned on/off depending on your mood or time of day. While the diffuser can be used with simply water to act as a dehumidifier I feel this would be the ideal gift to give with a set of essential oils, such as this Relaxing Essential Oils Kit that contains all you would need for many a relaxing experience as only 5 drops is needed per 1-4 hour use - so far I can't get enough of the 100% pure Peppermint and 100% Pure Lavender oils. 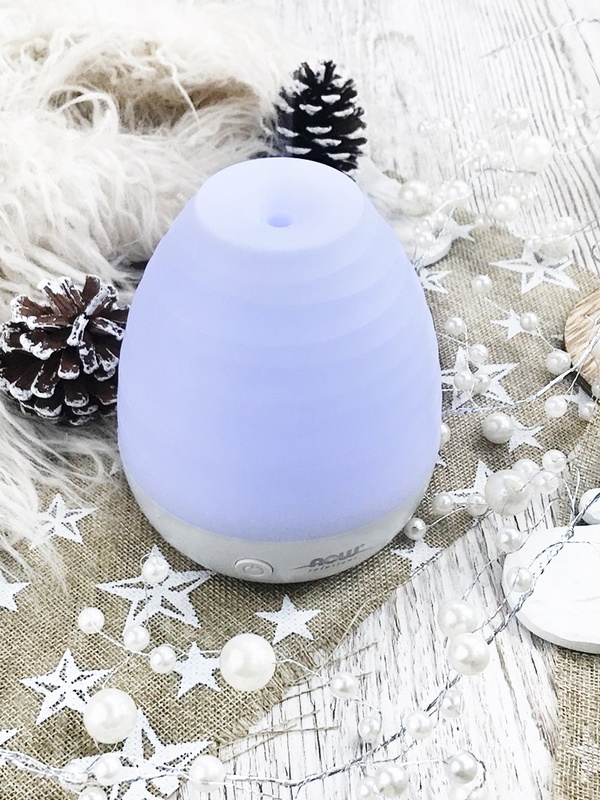 This would make an ideal gift for someone that spends a lot of time at home or working from home as the diffuser is beyond calming and makes a great addition to a desk or living room and to scent the home with. Much like the previous skincare gift set I have another travel-friendly gift, perfect for introducing your gift recipient to a brand. In this case, the brand is Weleda, which if you are into body care you will have heard of thanks to Weleda's cult Skin Food cream. 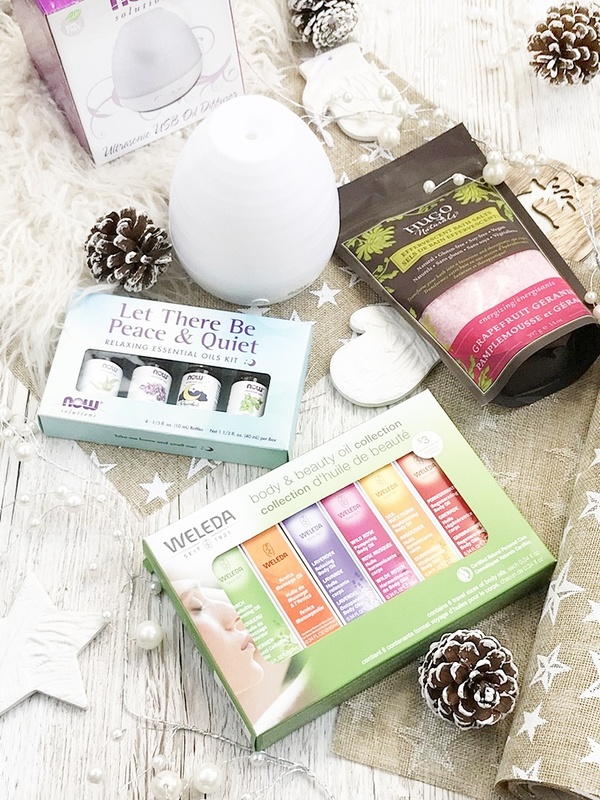 This beautiful presented Weleda Body Oil Essentials Kit includes 6 travel-size body oils for all different areas of the body and uses. From practical Arnica Massage Oil for muscle tension and bruising to a delicately scented Wild Rose Oil for pampering the skin with, this set really does have a bit of everything and is an amazing gift for anyone that enjoys looking after themselves. I also think for under £10 the set looks quite luxurious, definitely worth checking out! Finally, a gift worthy alternative to Epsom Salts. For the bath lover in your life, a more luxury packet of relaxing bath salts could make the perfect gift. From Grapefruit & Geranium to French Lavender and Eucalyptus this range of Hugo Naturals Bath Salts not only smell good but give therapeutic experience. Due to the affordable price these lovely bath salts could be gifted as a pair or trio or with other relaxing bathing gifts such as a bathrobe or slippers. Let me know if you have discovered some potential gift ideas here along with your favourite pick from my gift guide selection. New and current iHerb customers will get an instant 5% discount off their current order using my special code: MAK4323 at the checkout! New Customers can also receive $5 off a $40+ order by clicking here!